And I plan on sewing all three of these concepts before winter is over! *fingers crossed* Y'all, I'm pretty proud of this sketch, given the fact that I barely sketched anything in 2016. I know that I told you on Instagram that I completed like 2 sketches this year, but that was inaccurate. I did 3 sketches this year and this one makes 4, so there. But anyhoo, I found this sketch online (see the original sketch above) and then I reimagined it with my own concepts... and hair. I LOVE sketching hair. I remember being back in school and one of my instructors asking me why I always turned sketches with the hair so detailed, she also told me that it wasn't necessary and that my sketches were good without doing all that. 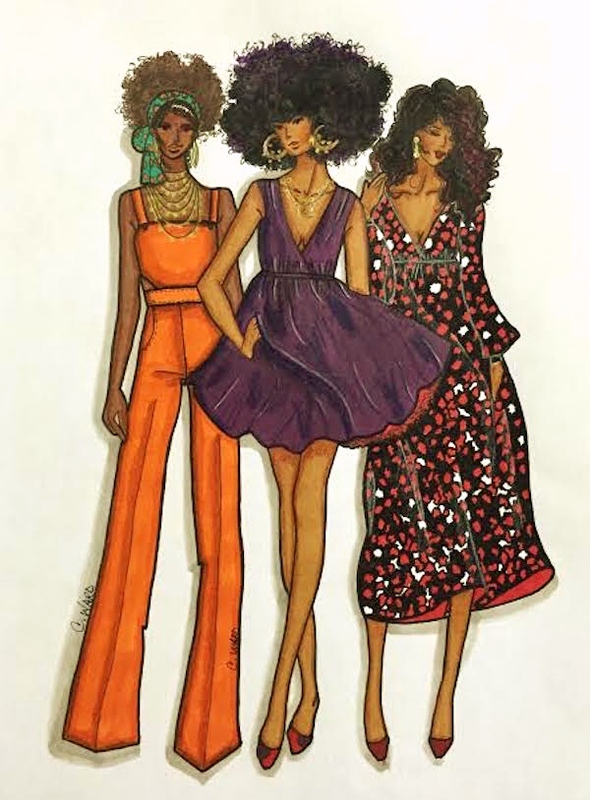 I remember thinking to myself, "look, you gone get these sketches with all of the fresh out of the salon hair that I wanna draw!" (it was the 90's) just let people be great in their own way geez. Drawing the hair on my sketches has long been one of my joys. It's not much, but I like going through the extra bit of effort. This is the fabric that I'll be using and I've had it for a really long time being the fabric hoarder that I am. 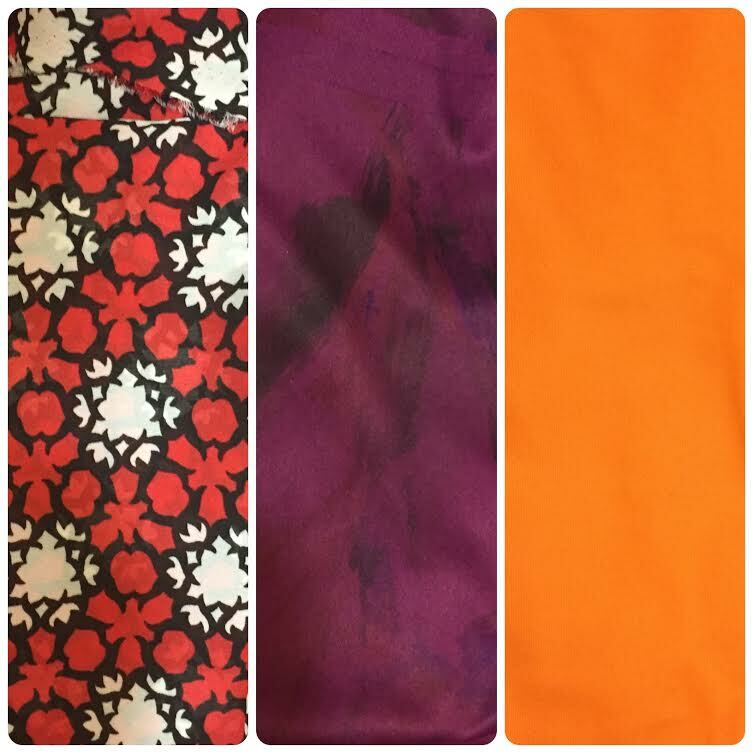 The most recent is the tangerine fabric, and I got that either in 2012 or 2013, the other 2 I had way before that. I told myself that I wouldn't buy any more fabric until I went through what I had first, but who am I kidding? All I can do is try and I will. A little.